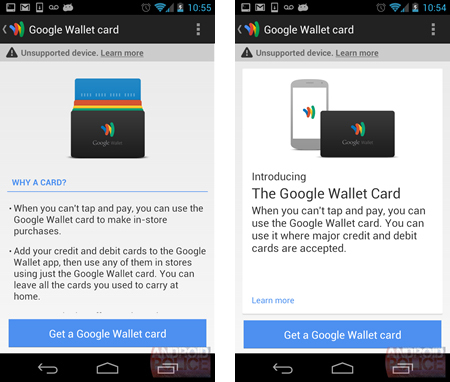 Google has announced that Oct. 17 will mark the end of the Google Prepaid Card on Google Wallet. The company said that since adding support for all debit and credit cards from Visa, MasterCard, American Express and Discover last month, Google Wallet no longer needs a prepaid card to mimic debit-style transactions. Starting Sept. 17, Google Wallet users will no longer be able to add funds to their Google Prepaid Card or add a new Google Prepaid Card to a new device, but will still be able to make purchases using their existing balances. By October 17th, the card will disappear from the Wallet app entirely. According to Google, those with leftover balances will be able to request a refund online.